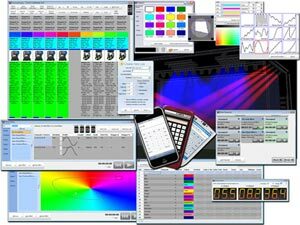 Lightfactory is a unique PC based lighting control system. Offering a no compromise approach of traditional dimmer control and fully featured moving light support. LightFactory was designed with the idea that every lighting engineer, operator or designer could own their own control desk. One desk they are completely familiar with, one desk that works for every situation and one desk they can rely on every time. Most PC based control systems focus on moving light support but lack the many features that make traditional lighting desks standout. Lightfactory closes that gap.